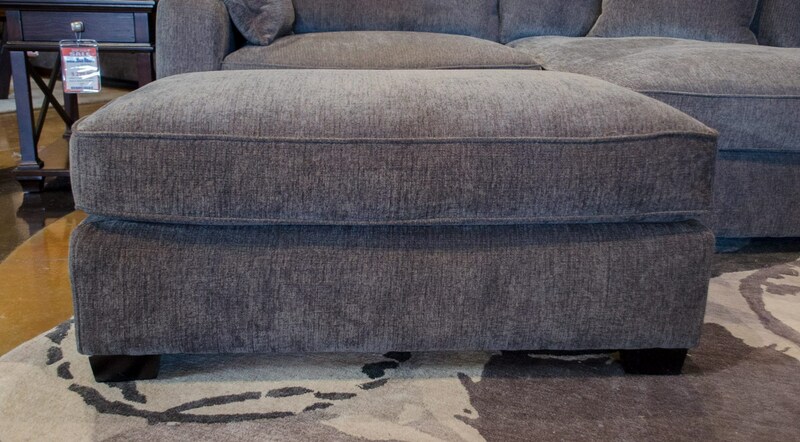 This charcoal cocktail ottoman is a perfect addition to the Repose sectional. This ottoman nests right in to the chaise to give both sides the ability to extend out. The Repose Charcoal Cocktail Ottoman by Emerald at Great American Home Store in the Memphis, TN, Southaven, MS area. Product availability may vary. Contact us for the most current availability on this product. The Repose Collection feels like a cozy cocoon. It has a very soft hand to it with plush seating to allow you to relax from a long day. There is an ottoman available that nests right in to the chaise to give both sides the ability to extend out. The Repose collection is a great option if you are looking for furniture in the Memphis, TN, Southaven, MS area. Browse other items in the Repose collection from Great American Home Store in the Memphis, TN, Southaven, MS area.